Alpine Communications is excited to announce that 4G LTE wireless service is now available for new and current customers. The new offering from Alpine Communications includes a large selection of 4G LTE smartphones with competitive individual and data share rate plans. With 4G LTE wireless data, customers can access their favorite mobile apps, shop online, communicate with friends on social sites and check their e-mails faster than ever. Choose from many popular smartphones brands such as Apple®, Samsung®, LG®,Motorola®, and more. Love your phone but not your cell phone company? Customers can also bring over compatible 4G LTE smartphones and keep their same telephone number. 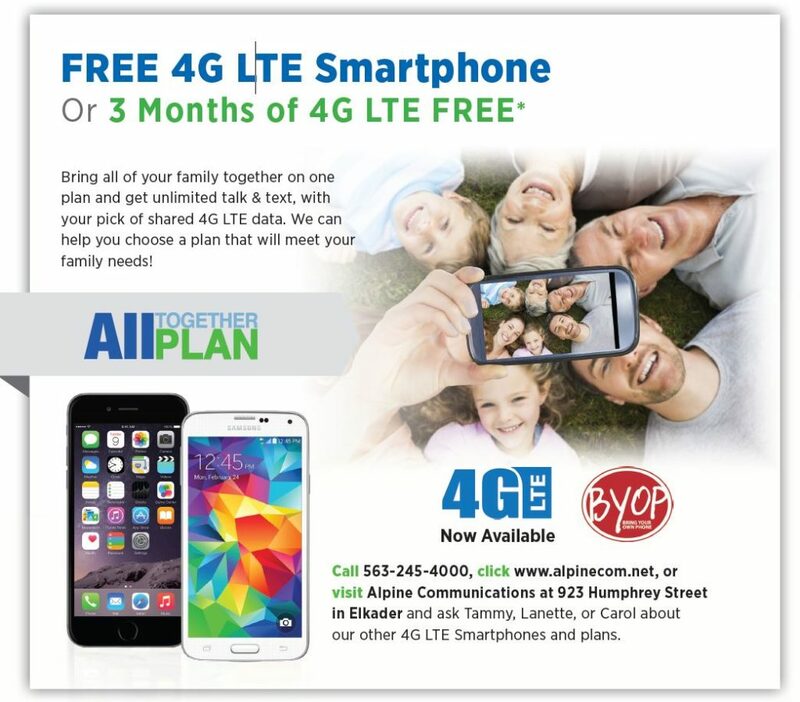 For more information about the new 4G LTE service provided by Alpine Communications, visit our store at 923 Humphrey Street in Elkader or call 563-245-4000.